Landmark Group UAE's premium business hotel: Citymax hotel Dubai hiring staff for 2019. Its a a free and direct recruitment by the hotel. 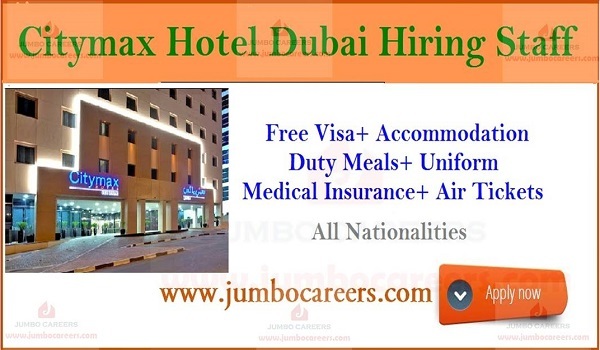 Salary range for hotel jobs in Dubai for above jobs are in between AED 1500- 6500/ month.